More than 100 people have been killed and dozens more wounded by "barrel bombs" dropped by Syrian army helicopters on Aleppo, Médecins Sans Frontières has said. The casualties have overwhelmed the already over-stretched and often-damaged hospitals in the northern city, where MSF is providing medical supplies. "For the past three days, the helicopters have been targeting different areas, among them a school and the Haydarya roundabout, where people wait for public transport vehicles," said Aitor Zabalgogeazkoa, MSF coordinator in Syria. "Repeated attacks often lead to chaos and make it more difficult to treat the wounded, therefore increasing the number of fatalities," he said. President Bashar al-Assad's forces frequently deploy air power and artillery against rebel-held districts across Syria. They have been unable to recapture eastern and central parts of Aleppo, which rebels stormed in the summer of 2012. However, they have driven rebel fighters back from towns to the southeast of the city in recent weeks. The Syrian Observatory for Human Rights, which yesterday said 76 people had been killed by barrel bombs in Aleppo on Sunday, said 15 people, including two children, died in air raids by fighter jets on Aleppo's Shaar district today. The Britain-based group did not say whether they were caused by barrel bombs, which are explosive-filled cylinders or oil barrels, often rolled out of the back of helicopters, which are capable of causing widespread casualties and significant damage. Helicopters dropped barrel bombs near the town of Safira, southeast of Aleppo, the group said, but it was not clear whether there were any casualties. Rebel fighters fired rockets at two Shia towns near Aleppo city, the group said, delivering on a warning yesterday that they would target the towns if the bombing of Aleppo continued. More than 100,000 people have been killed in Syria since a revolt against President Bashar al-Assad began in March 2011, according to the latest UN figures. The Syrian government excluded the largely rebel-held province of Deir al-Zor, where polio broke out this year, from a 2012 vaccination campaign, a Reuters investigation has found. It said the government argued that most residents had fled, although hundreds of thousands were still there. Public health researchers say leaving out the Syrian province contributed to the re-emergence there of polio, a highly infectious, incurable disease that can paralyse a child within hours. Polio has been eradicated in many parts of the world, but in November the World Health Organisation (WHO) said 13 cases had been found in the province. Two more have since been recorded there and the virus has surfaced in Aleppo and near Damascus. 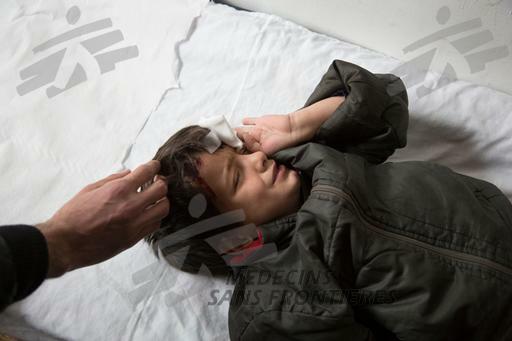 It is the first outbreak since 1999 in Syria. The WHO said in a statement on 6 December 2012 that it, in conjunction with the Syrian Ministry of Health and the United Nations Children's Fund, had launched a campaign to vaccinate "all children below the age of five against polio". It said the campaign, involving 4,000 health workers and volunteers, would cover roughly 2.5 million children in 13 of Syria's 14 governorates, except for Deir al-Zor, as "the majority of its residents have relocated to other areas in the country". It was not possible to contact the Syrian government for comment on its reported decision to leave out Deir al-Zor.